Publisher: Pocket Books, New York, New York, U.S.A. Trashy celebrity bios are usually diminished by the fact that we've already heard the stories about Lonnie and Burt, or Madonna and Sean, or whoever the current target is. Author Stephen Fried manages to get all the sleaze value plus a lot of surprises by choosing supermodel Gia Carangi as his topic. 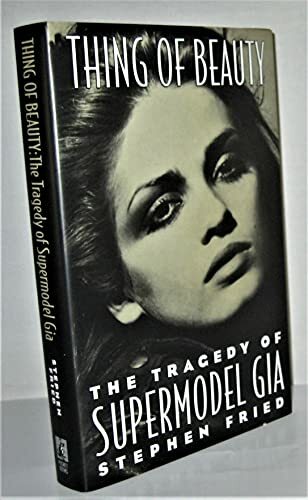 Although her face is widely recognized, Gia finished her modeling career in a blaze of heroin and disease just before the time when models became celebrities with name recognition. Her life is the perfect fodder for the exploitation market, but Fried goes beyond that with fluid prose and a reporter's nose for tracking down sources. His stories about her teenage years, with their mix of late nights in Philadelphia's gay clubs, manic worship, and glam-style imitation of David Bowie, as well as tales of Gia's ability to seduce her friends, male and female, are the product of a lot of work and make for very interesting reading. Gia's unabashed homosexuality and early death from AIDS make her story a palimpsest of life on the edge in the America of the 1980s.